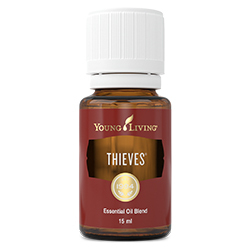 Build four pillars of good health with the following core Young Living products. 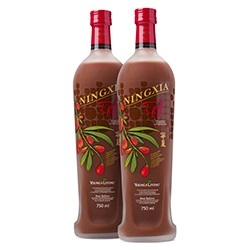 NingXia Red® is a nutritious wolfberry drink that energises, fortifies and revitalises the body. 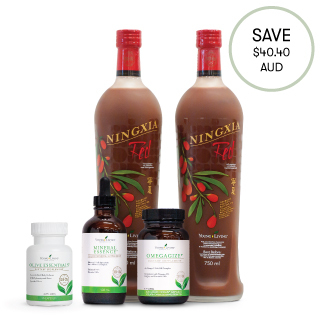 OmegaGize3™is a master formula combining 3 essential nutrients - Omega 3, Coenzyme Q10 and Vitamin D3. Mineral Essence™ contains over 62 essential trace minerals for ultimate energy and stamina, in an easily absorbable ionic solution. 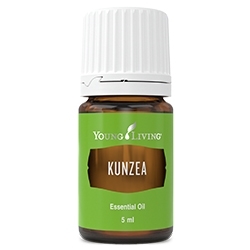 Longevity™ is a powerful essential oil blend that helps promote youthful-looking skin. These statements have not been evaluated by the Therapeutic Goods Administration. 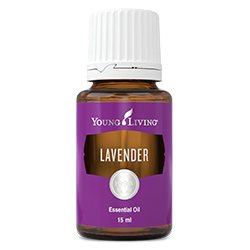 Young Living products are not intended to diagnose, cure, treat or prevent any disease.